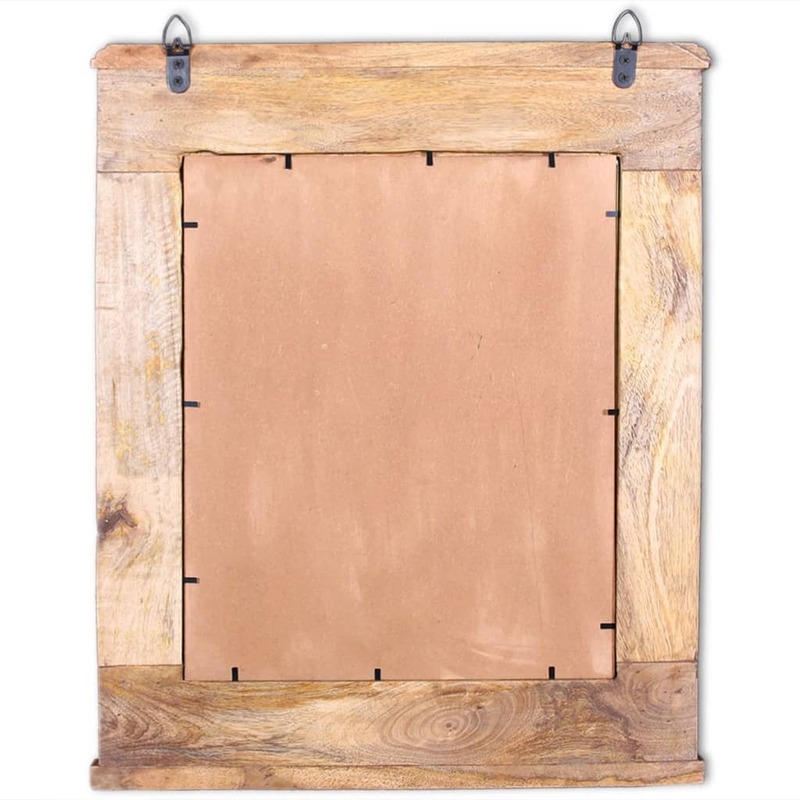 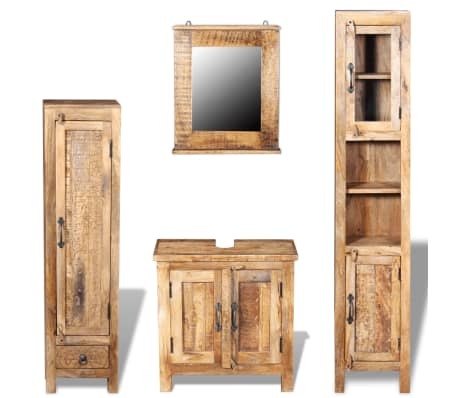 This vintage bathroom cabinet set, including a wood-framed mirror, a vanity cabinet, and two different sized side cabinets, is an eye-catcher wherever it goes. The 2-shelf vanity cabinet has a hole on its sturdy top surface, which is designed for your bathroom sink. 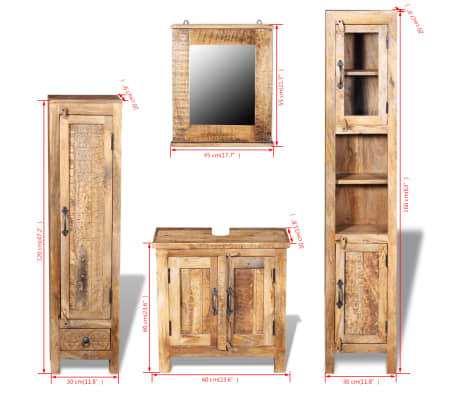 The set includes 2 side cabinets, one is 47.2" high with 3 shelves and 1 drawer; and the other one is 63" high with 6 shelves. 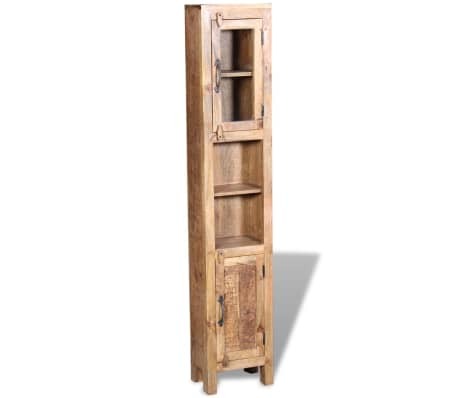 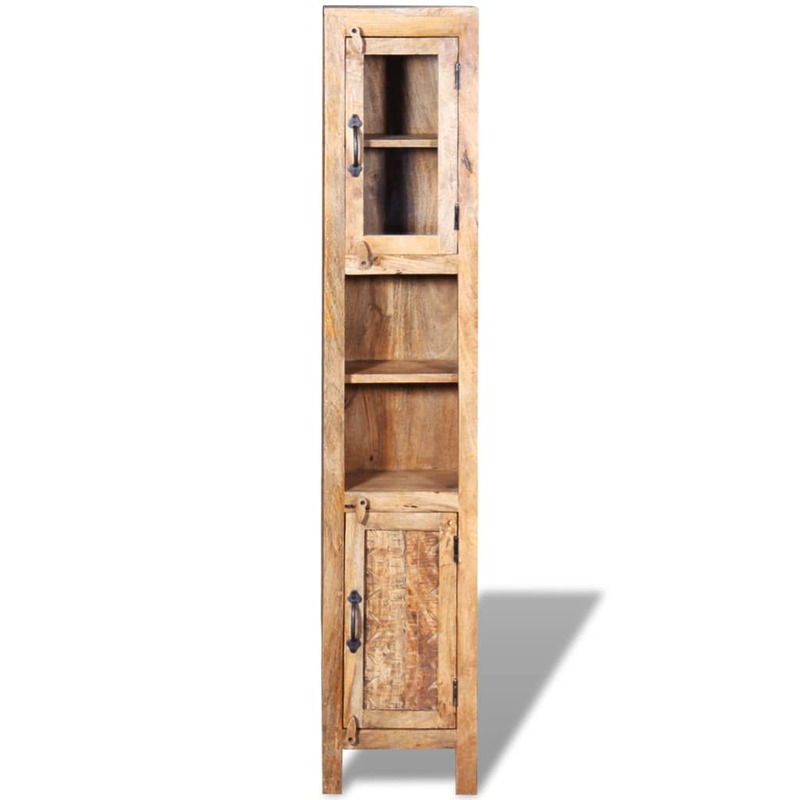 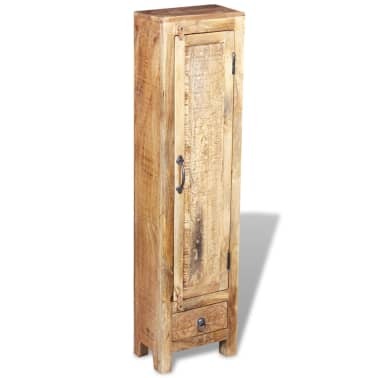 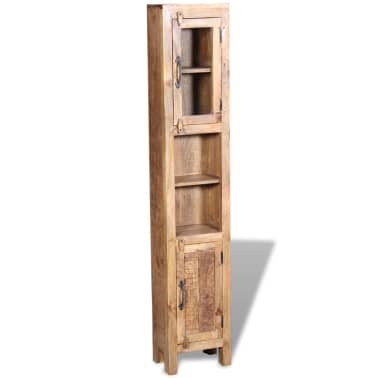 The 3 cabinets can bring large storage space and surely help you to maintain your items in great order. 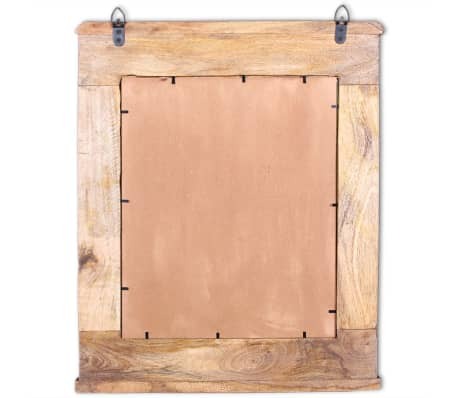 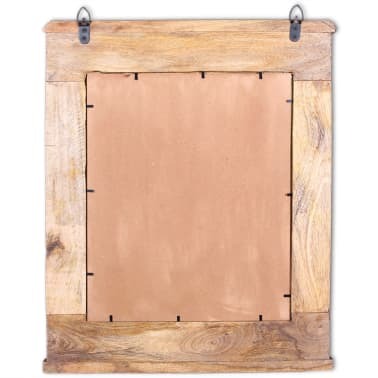 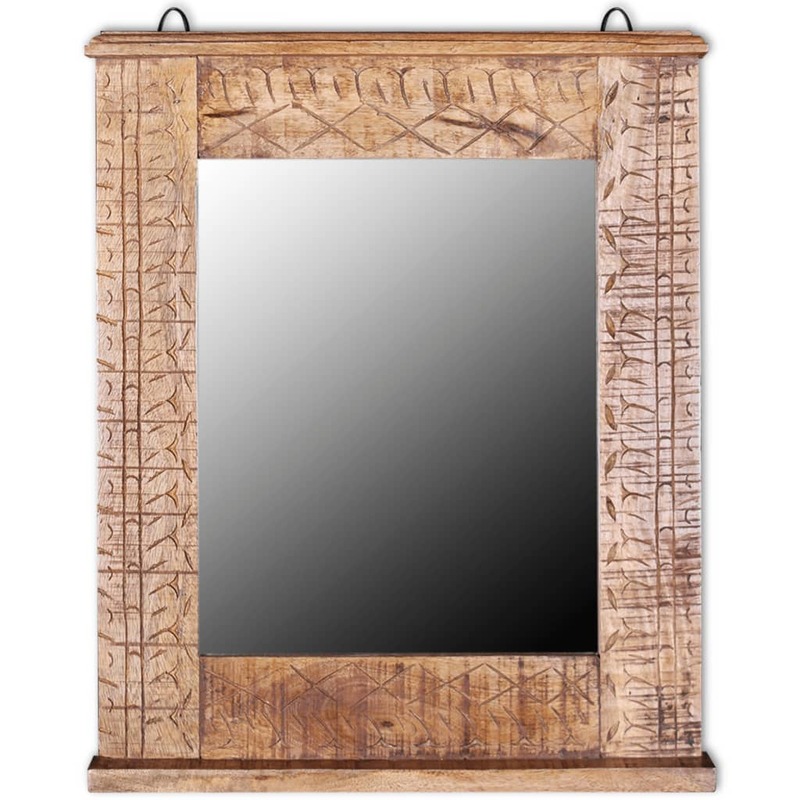 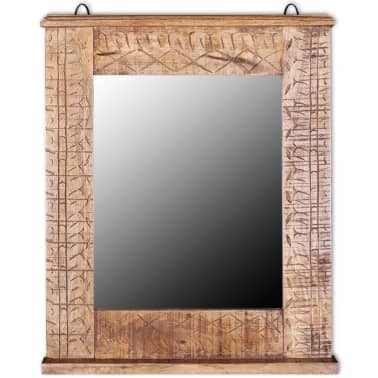 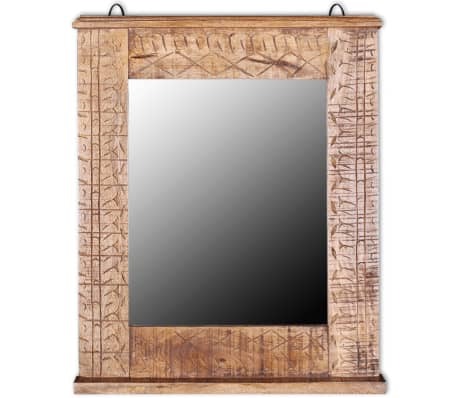 The mirror with unique patterns is rare, and it's a great addition to any bathroom. 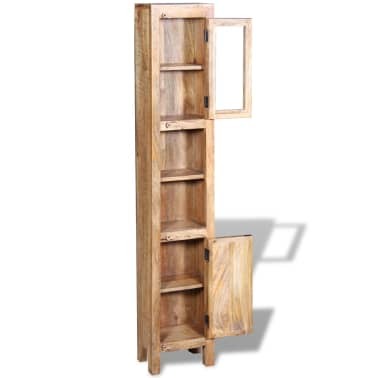 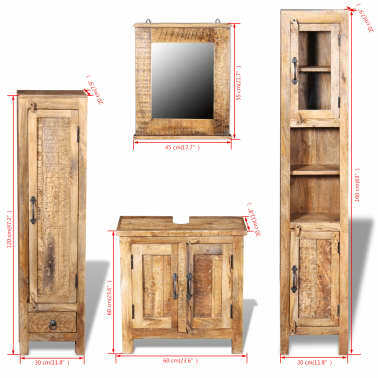 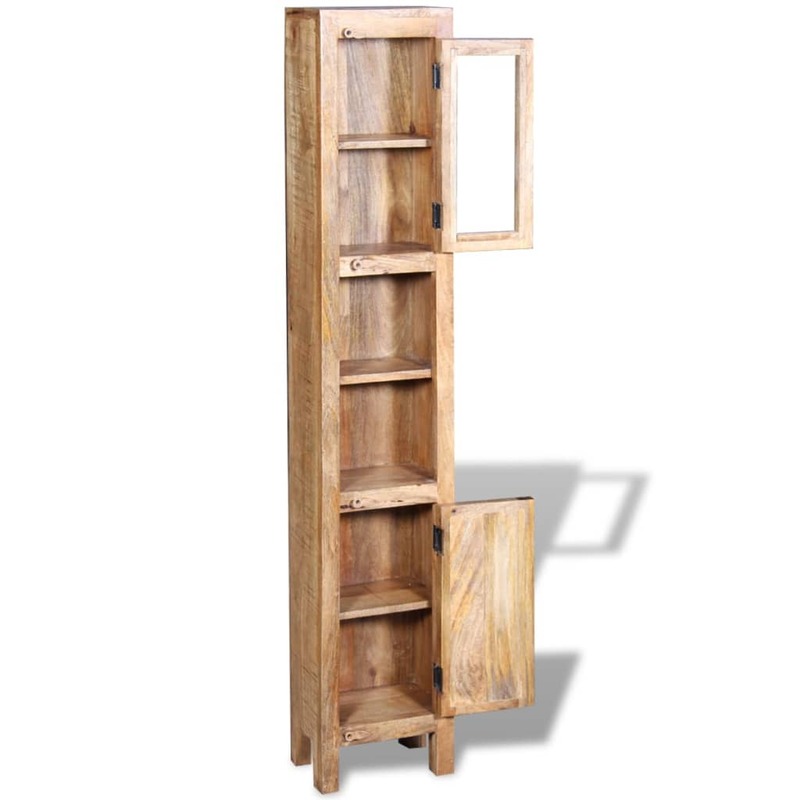 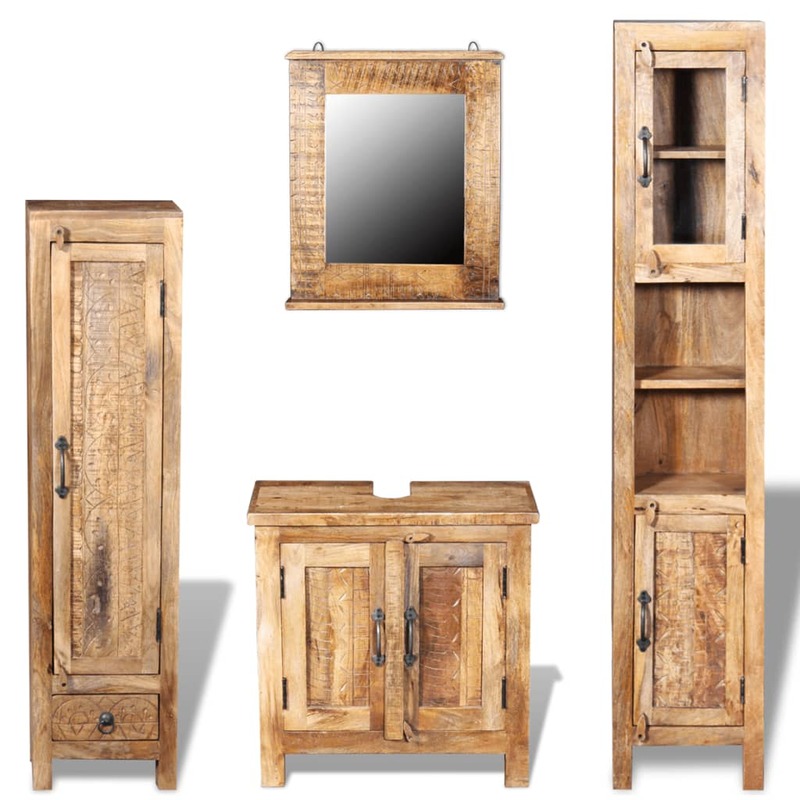 These 3 cabinets and the frame of the mirror are made from solid mango wood, which makes this bathroom furniture set sturdy, stable and durable. 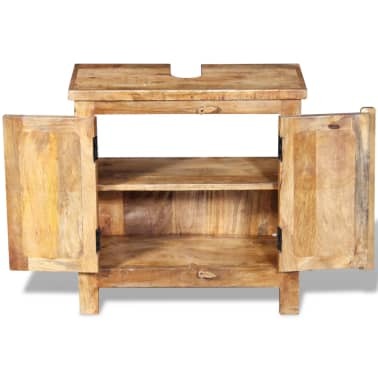 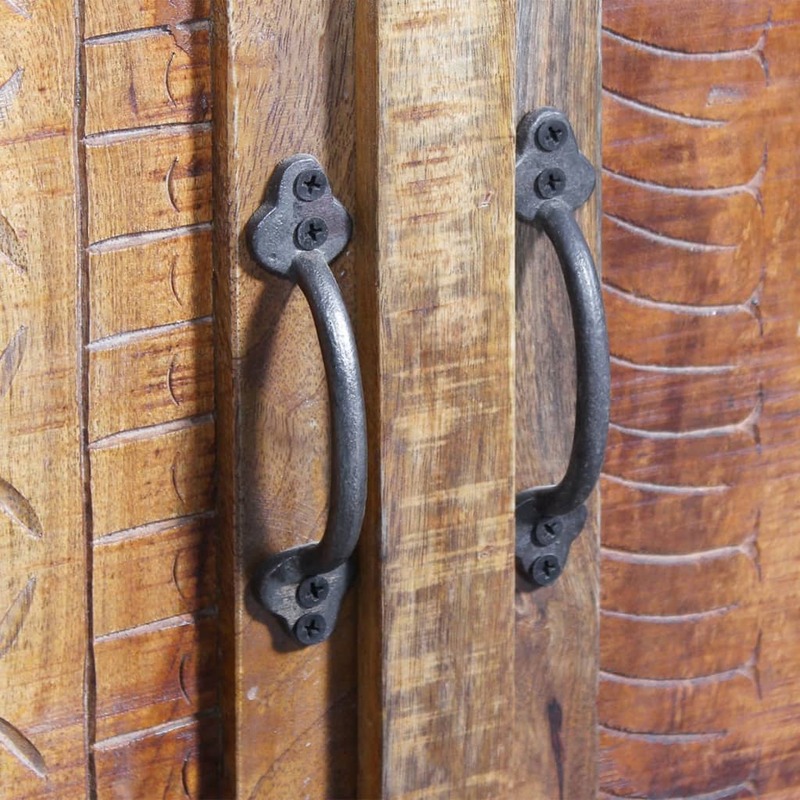 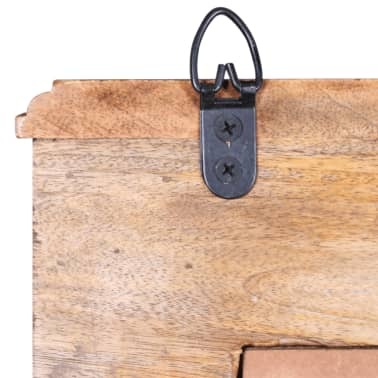 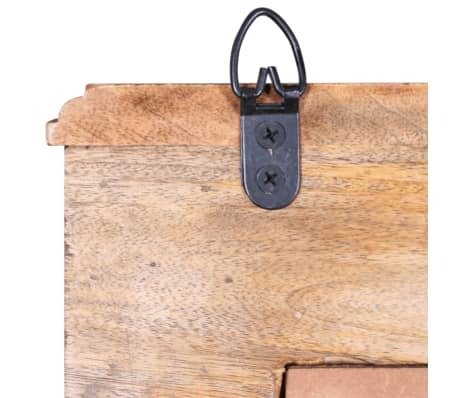 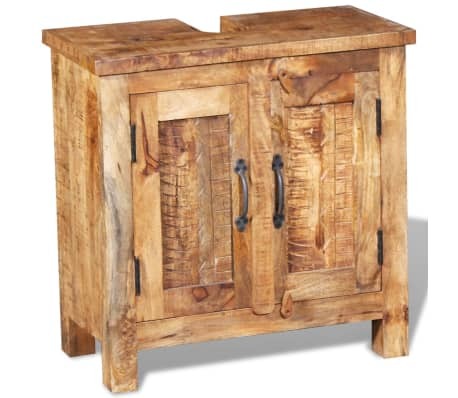 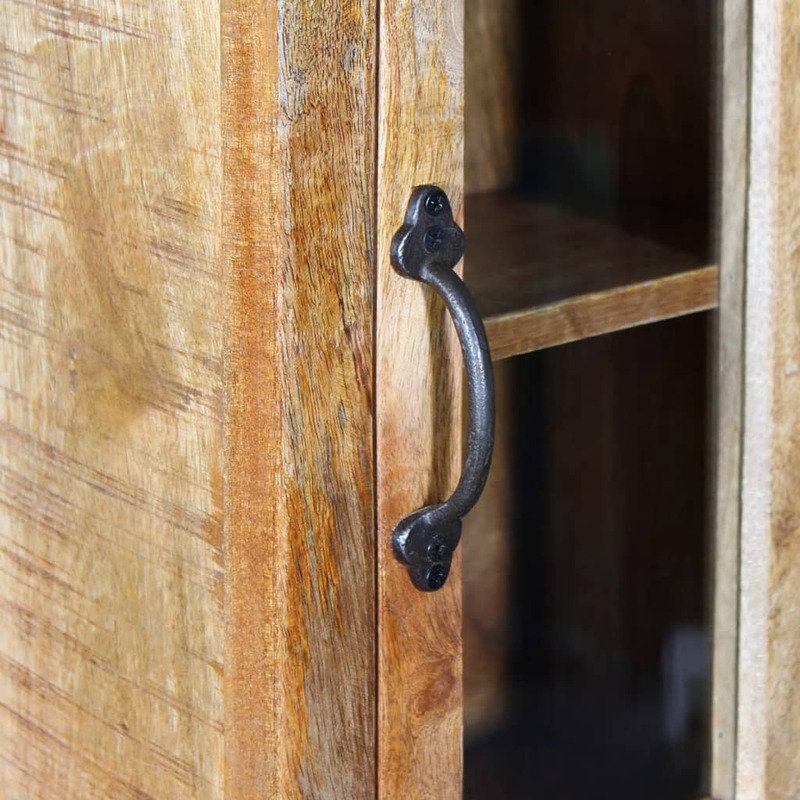 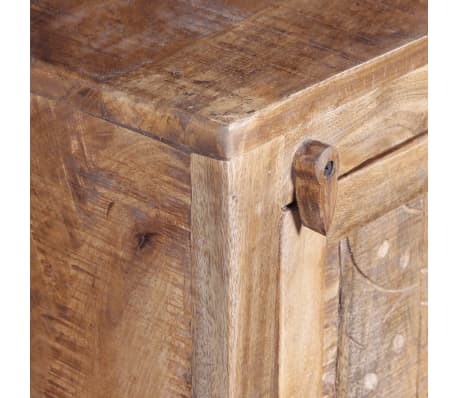 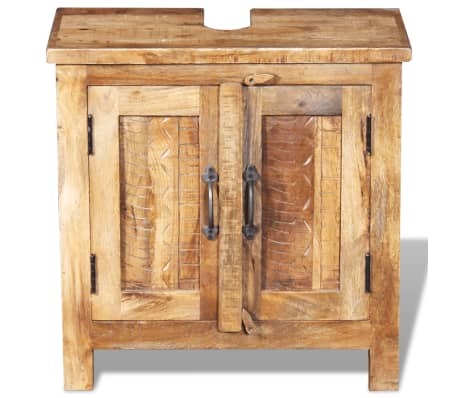 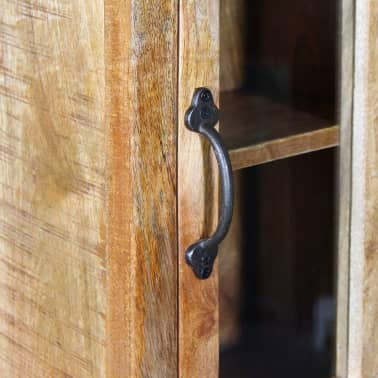 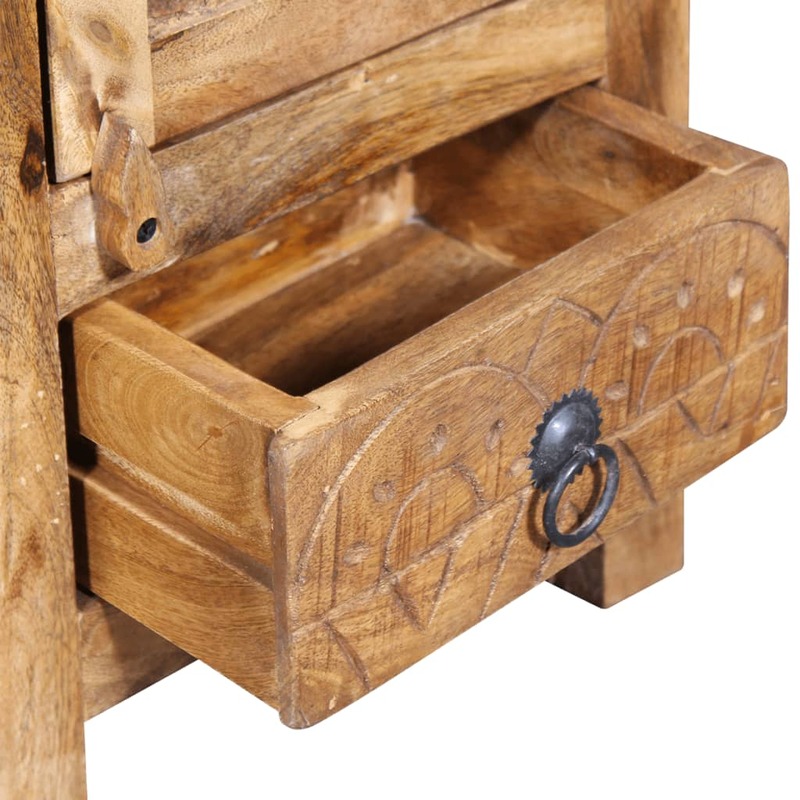 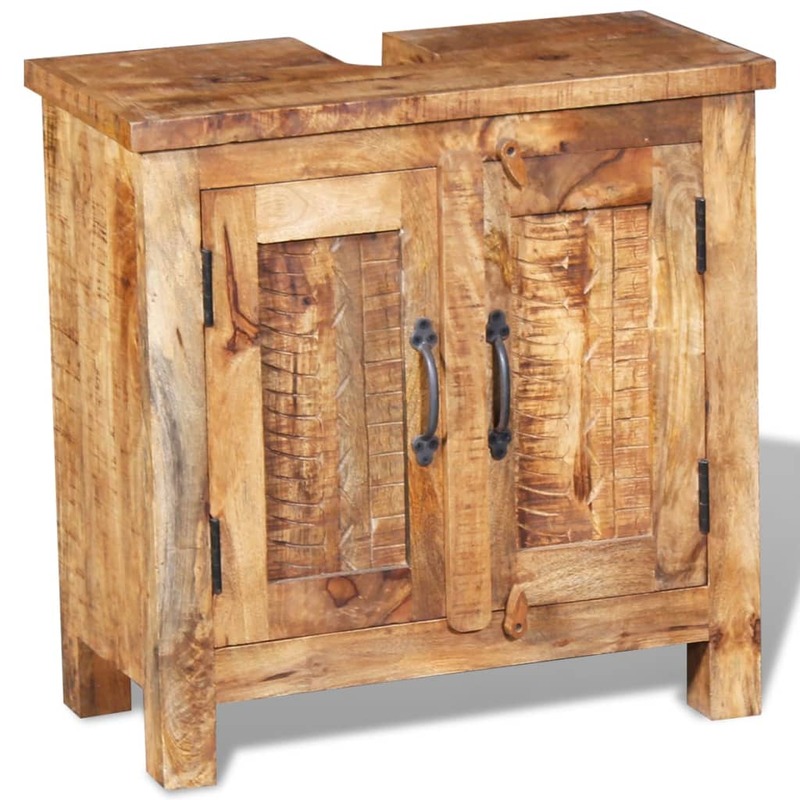 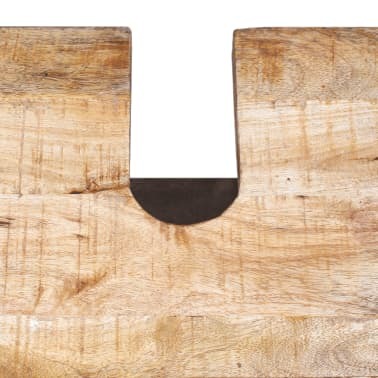 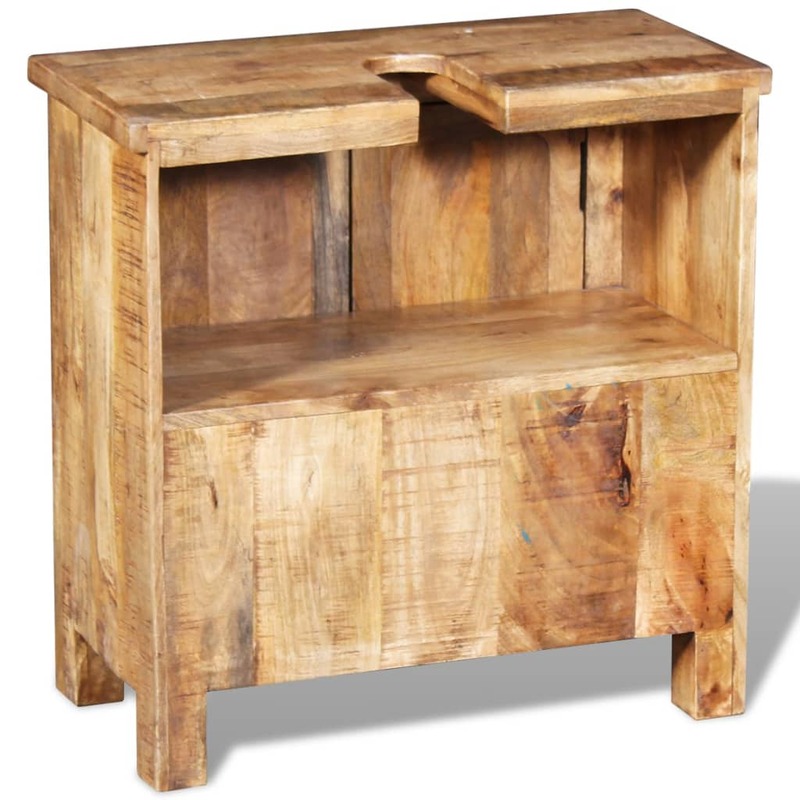 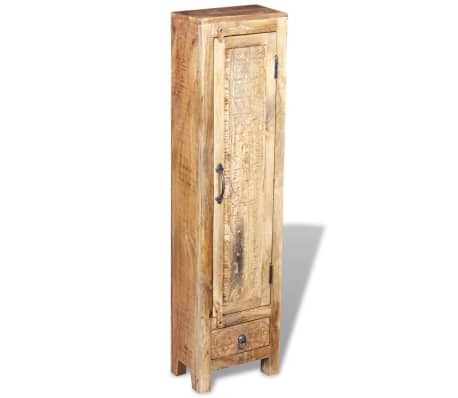 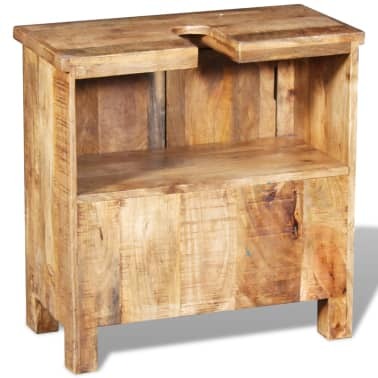 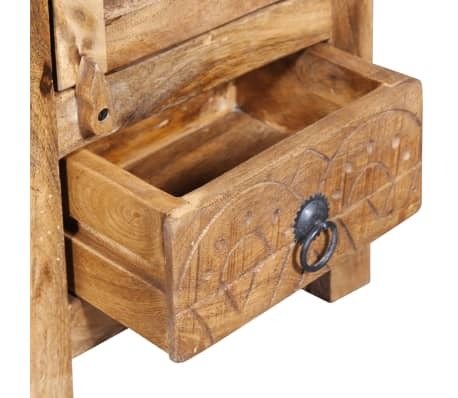 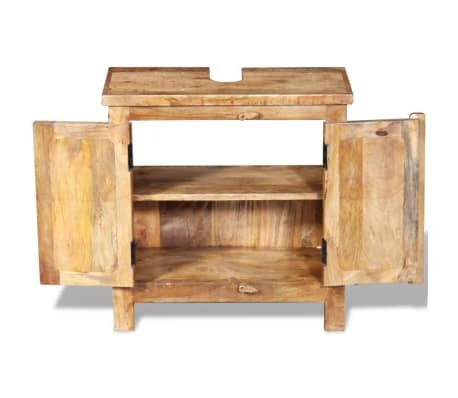 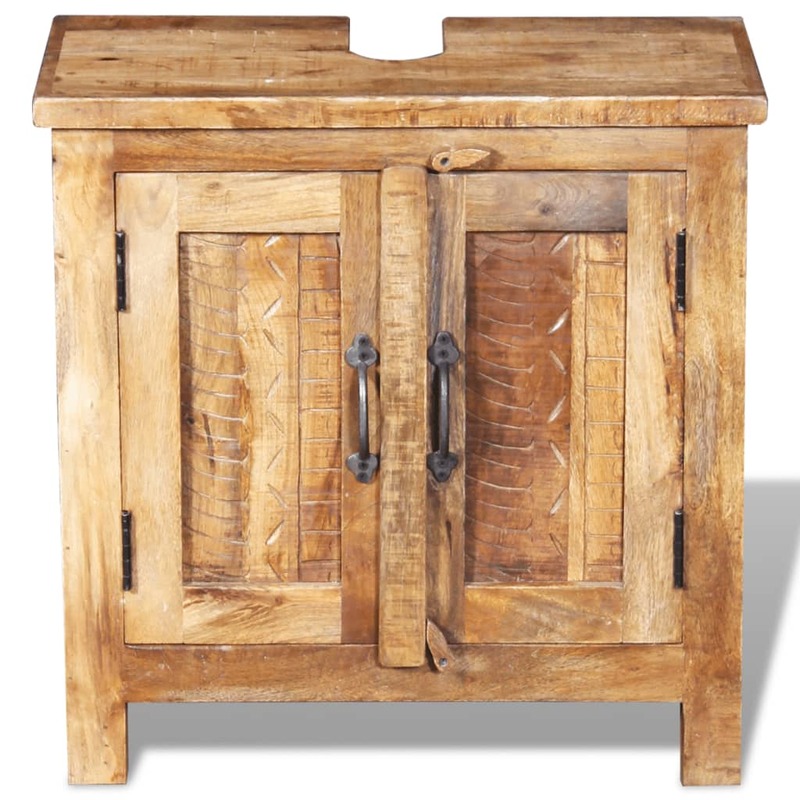 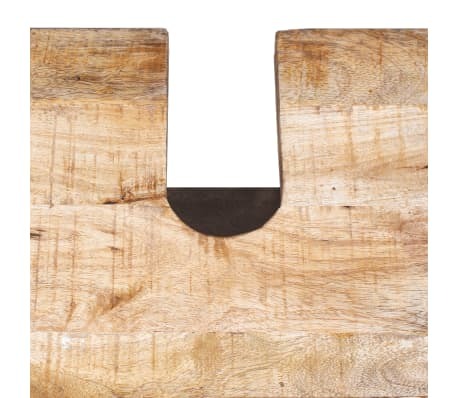 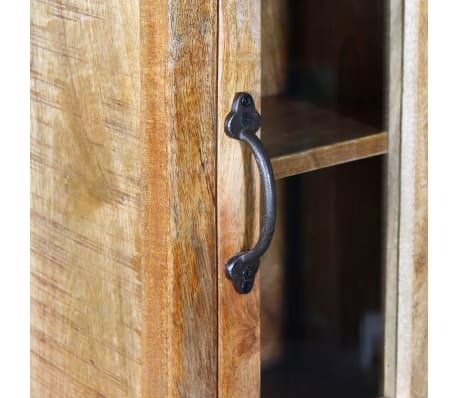 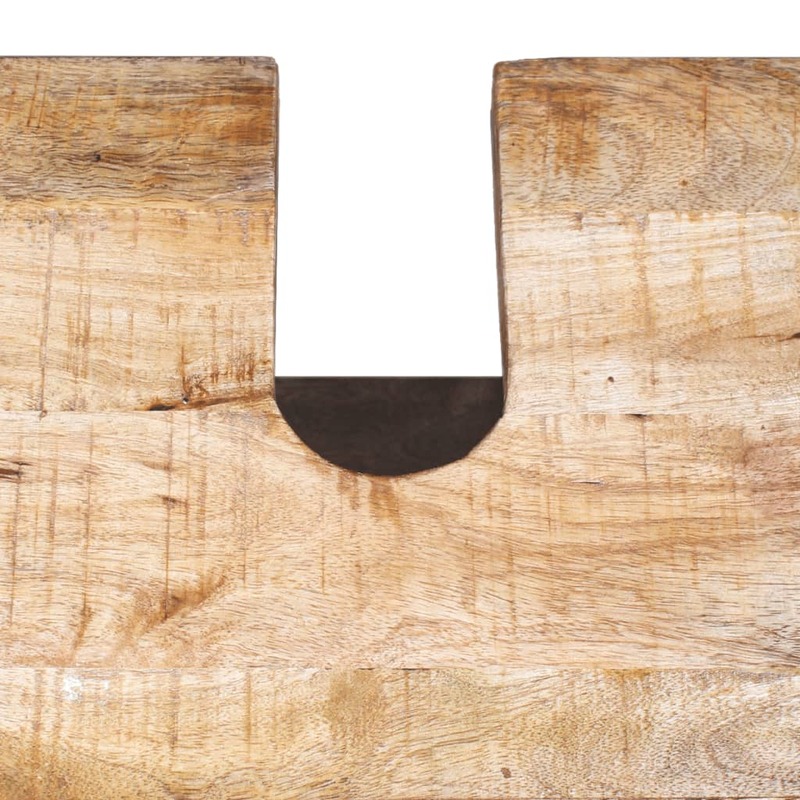 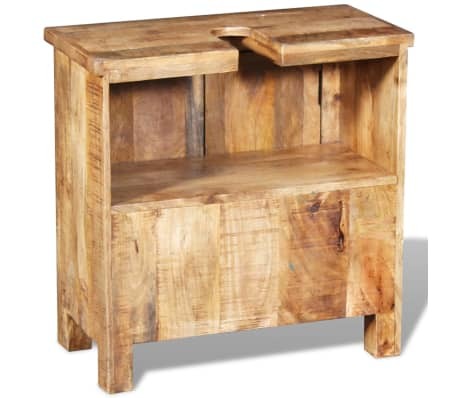 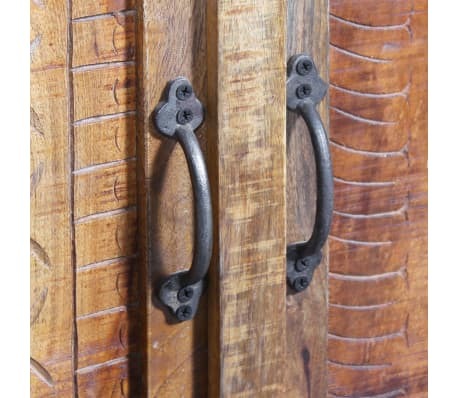 The craftsmanship and beautiful wood grains make every piece of furniture unique and slightly different from the next. 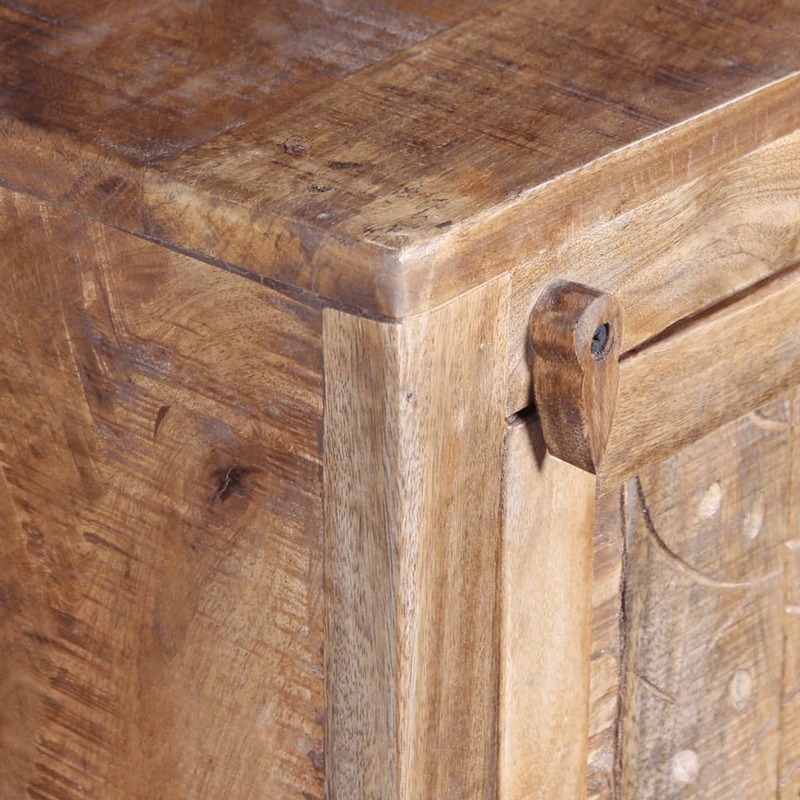 Important note: Colors vary from piece to piece, making each of our furniture unique; the delivery is random.